5 - Being "whale watched"! Our work on this expedition focuses on particles and living organisms normally not larger than a few millimetres. 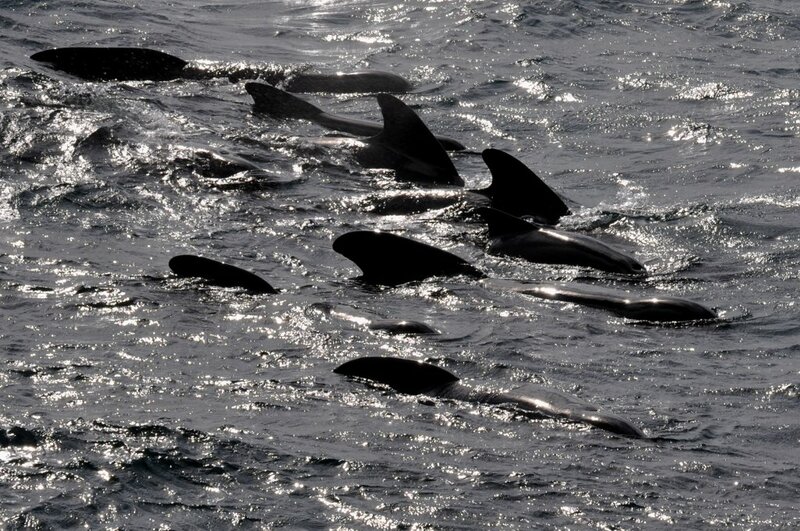 But sometimes animals larger than us, our closest relatives in the ocean, also make their appearance. 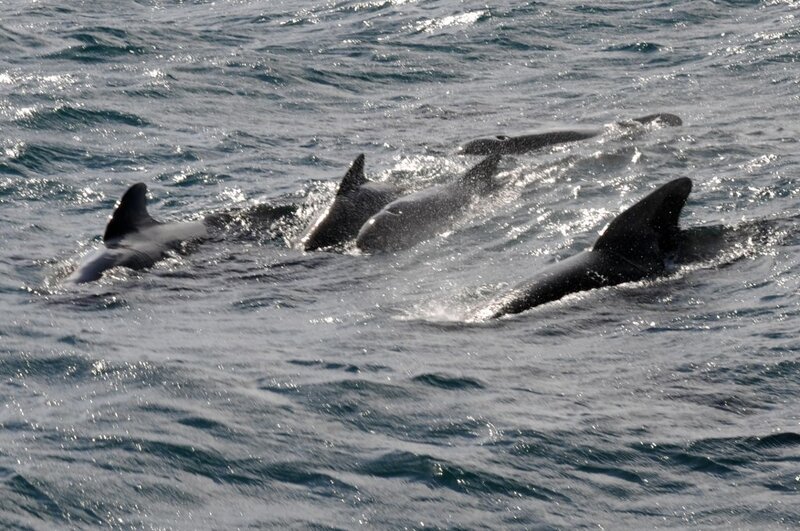 It is not uncommon to spot dolphins and smaller whales, or should we say it is not uncommon to be spotted by them? 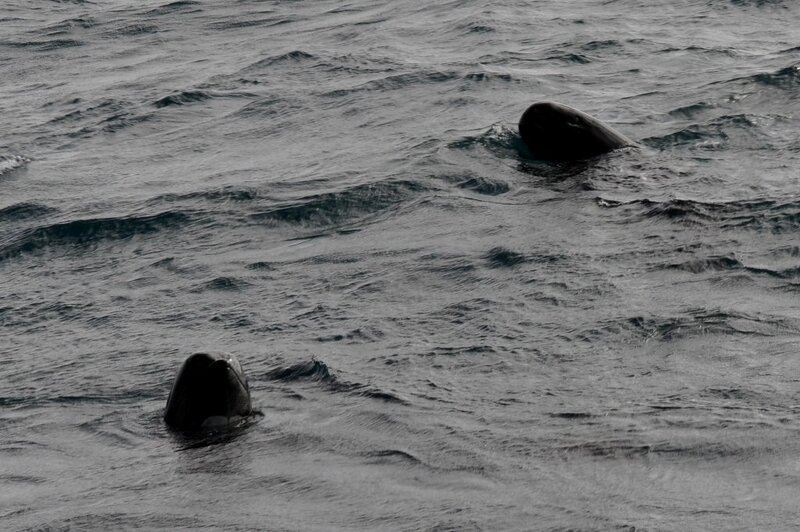 A couple of days ago we were visited by a curious group (or pod) of pilot whales (Globicephala sp. ), who came by to see what was happening. 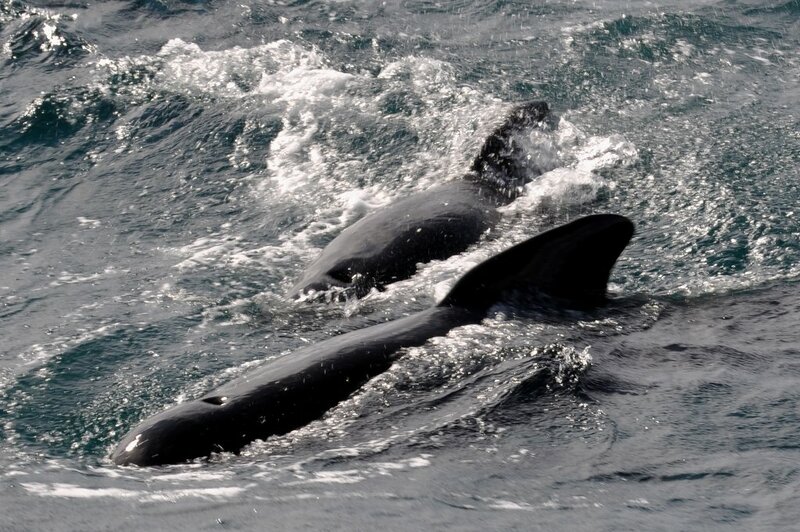 Despite the name, they actually belong to the dolphin family and can reach up to several metres in length. To investigate what is happening above the surface, they can hold their position and stick their head out of the water, a behaviour called "spyhopping" (first picture). Wouldn't you look out of the window when you see an unusually big and strange looking vehicle rolling down the road in your neighbourhood?